Despite all you can do with an iOS device, certain features that are standard on a Mac or PC have been elusive on Apple’s smartphones and tablets. 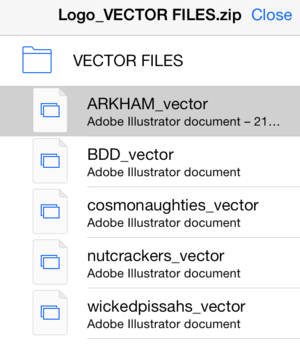 With iOS 7, however, it looks like we can cross one of those omissions off the list: You can now unzip and view compressed files from within Mail. 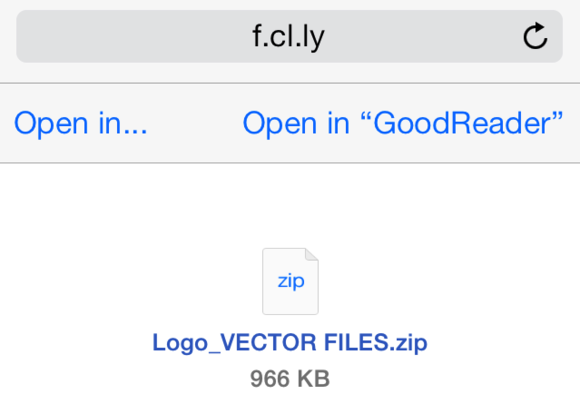 Originally, iOS flat-out ignored zip files—if you received one in an email or viewed it on the web, it showed up as an unrecognized file type, and that was that. But in iOS 4, Apple added the “Open In” function, which let you use third-party apps to open files that the OS couldn’t handle. This let programs like GoodReader handle file unzipping and dealing with other unrecognized document types, but it wasn’t perfect—try explaining to your tech unsavvy friend or family member that they need to download a specific app to open a file. ALL IN THE FILES The Mail app lets you view the contents of your zipped files in iOS 7.
iOS 7 elegantly addresses this problem: Now, when you receive a compressed file in Mail, tapping on it will unzip the file and present it as a series of documents that you can swipe through, along with a folder icon to view all the included files. You can then send individual files to the program of your choice with Open In, save images to your camera roll, print files, share them via AirDrop, and more. 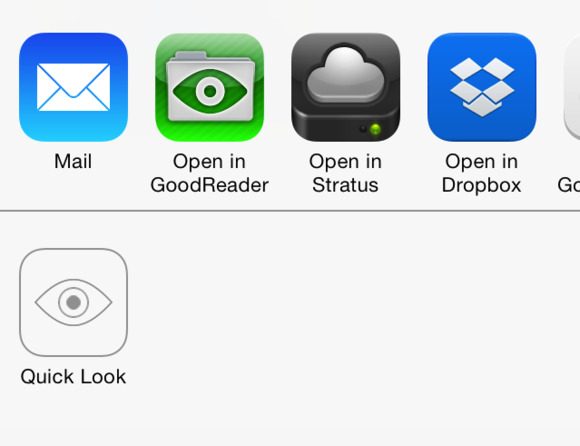 If you still want to send the whole zip file to another app, tap and hold on it to bring up the Share sheet, which offers the various Open In options as well as “Quick Look” (which does the same thing as tapping the zip file). The Messages app also supports viewing the contents of compressed files, but it looks as though Safari has been left out in the cold: Load a zip file in the browser, and you’re still asked to first open it in a third-party app. NO SAFARI LOVE Safari doesn't get Mail's Quick Look feature; instead, you'll have to continue opening zip files in other apps.